Join us in welcoming doTERRA representatives, Kelly Anderson and Kendyall Guthrie, as they share with us all the new products and happenings from the recent doTERRA ONE convention in Salt Lake City. 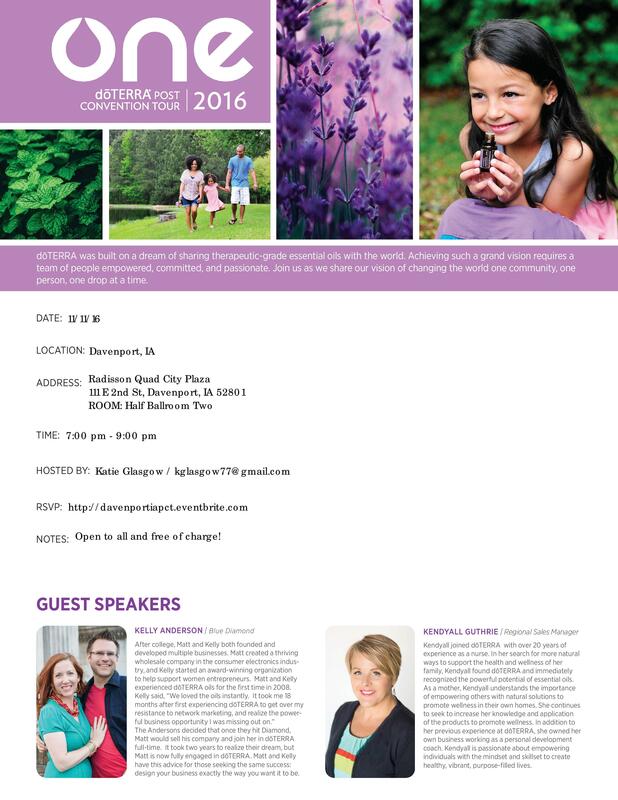 This is an incredible opportunity to introduce people to the amazing products and opportunities of doTERRA! Join us in Davenport for this special evening!